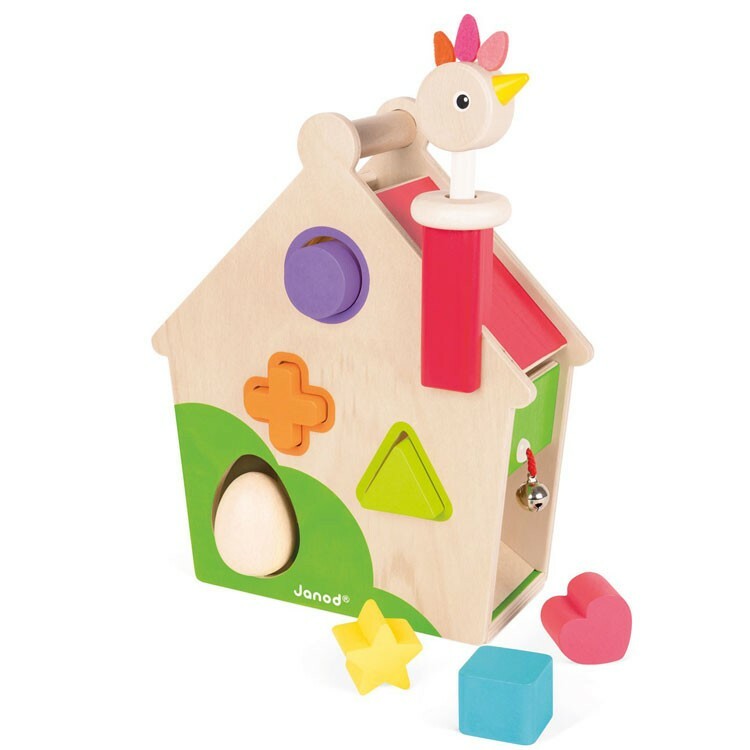 Help the cute Zigolos hen find the right slot for each of these geometric shapes, take them out of this wooden house, and get ready to play again and again! Welcome to the learning house! House of bright colors, fun activities, and silly Zigolos Hen! 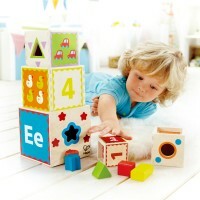 Zigolos Hen Activities House Shape Sorter is a new manipulative activity set from Janod that combines fun with play. 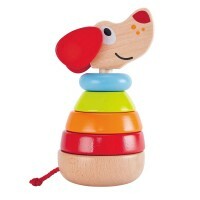 this shape sorting set is an attractive all-wood house, with tons of play possibilities. 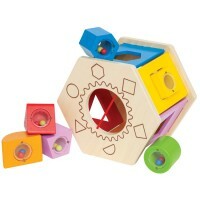 Featuring excellent craftsmanship and fine wood finish, this motor skills activity toy is an exciting way to introduce your little one to early geometry and matching skills. 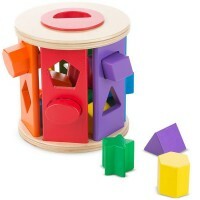 This Educational Toys Planet's set features a wooden house shaped sorter with color identified windows for 7 shapes and a place for a friendly hen character. 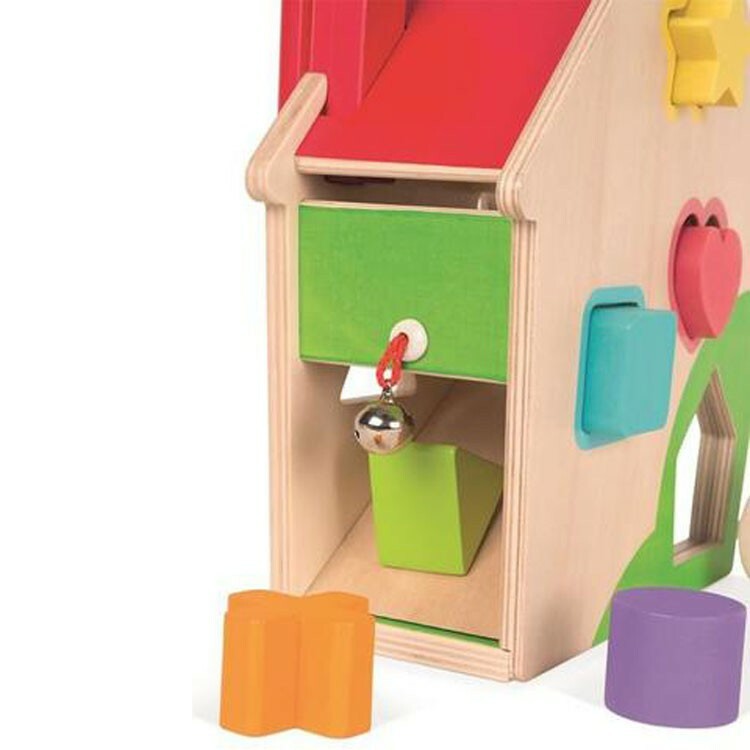 Perfectly sized for toddler's hands, the Zigolos Hen Activities House Shape Sorter is a terrific activity center for home or daycare classroom learning. 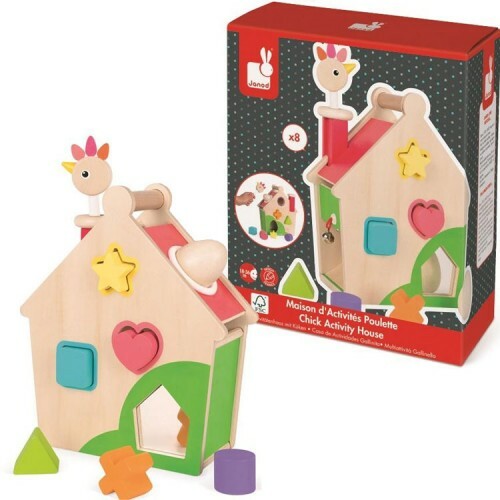 Help the cute Zigolos hen find the right slot for each of these geometric shapes, take them out of this wooden house, and get ready to play again and again! 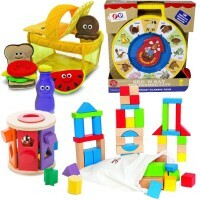 Dimensions of package 4.72" x 9.06" x 11.02"
Write your own review of Zigolos Hen Activities House Shape Sorter.